The new 2018 Chevrolet Equinox is easy practicality meets car-like handling, which is why buyers everywhere are so excited about it. The 2018 Chevrolet Equinox is feature-rich with all of the modern infotainment you’d expect and some surprising added active-safety features. This fun SUV is also in the running for top fuel-efficiency among its competitors, while it still maintains power and performance with a turbocharged 1.5-liter four-cylinder that barely sips fuel. This might be why crossover SUVs are so swiftly gaining popularity, compact SUVs like the 2018 Chevrolet Equinox especially. The newest model has been re-engineered, re-vamped, and re-designed. The 2018 Chevrolet Equinox, like many popular brands, also doesn’t skimp on style and luxury. The 2018 Chevrolet Equinox has entry models available, but as always, Chevrolet vehicles can be enhanced with trim packages that turn a compact SUV into a dream car. In the 2018 Chevrolet Equinox, visibility and safety-features are standard. The high seating provides enhanced visibility, and the view all around the driver’s seat is exceptional. With its standard reversing camera, blind-spot monitoring, rear cross-traffic alert, and rear park-assist sensors, it’s clear that Chevrolet engineers had the customer’s safety in mind. You can also opt for the lane-change alert system, necessary for safe highway driving. But it doesn’t end there! Alongside the extensive amount of safety features is the forward-collision warning. This coupled with automatic emergency braking, makes you confident you are good hands. With all of these features and a lane-departure warning system and lane-keeping assist, you won’t ever worry about the frustrations of highway driving. General Motors engineers are top notch at providing child safety features. You will sigh with relief knowing your children are protected by a Rear Seat Reminder system. This will make all kinds of noise if the rear door opens without warning, or if you have left your child behind in the rear seat. For the older kids, the Teen Driver technology is still standard, allowing parents to monitor any teen driving activity. And of course, The 2018 Chevrolet Equinox has been crash tested by the National Highway Traffic Safety Administration and the Insurance Institute for Highway Safety. The fuel economy of the 2018 Chevrolet Equinox is near 40 mpg. That’s incredible for an SUV! Many Equinox buyers cite its fuel economy as part of the final consideration in choosing the vehicle (72% vs. 68%). Its that turbo-diesel engine doing all the work to provide efficient fuel intake. If fuel-economy is important to you, then you must consider owning a 2018 Chevrolet Equinox. You’d be hard-pressed to find another SUV with such high EPA-estimates. The 2018 Chevrolet Equinox might provide the misconception that it cannot be fuel efficient as an SUV. But that’s why Chevrolet worked so diligently to provide fuel economy as an option. Chevrolet knows what customers are looking for and does their best to produce what car-buyers want. The 2018 Chevrolet Equinox has a turbocharged, 1.5-liter 4-cylinder engine as standard. Also available is the turbocharged 2.0-liter 4-cylinder, as well as the new 1.6-liter turbodiesel engine. It was also redesigned to shed extra weight, making it a smoother ride overall. Driving the Equinox produces a swell of torque, 203 lb.-ft. getting it up to 170 horsepower. The turbo smoothly transitions to boost it even further, working alongside the 6-speed transmission upshifting and downshifting at just the right speed. The turbocharged 2.0-liter 4-cylinder has even more torque and better fuel economy, but not as much as the turbodiesel 1.6-liter 4-cylinder. The 2018 Chevrolet Equinox has fun driving dynamics due to its steering, suspension, and brakes. This is the kind of crossover SUV that you want when driving city streets, twisty roads, and highways. Buyers say their favorite thing about the new 2018 Chevrolet Equinox is the exterior styling, followed close behind by its interior design. That’s because beyond how great-looking the Equinox is at first glance, the interior provides vast amounts of storage and seating. 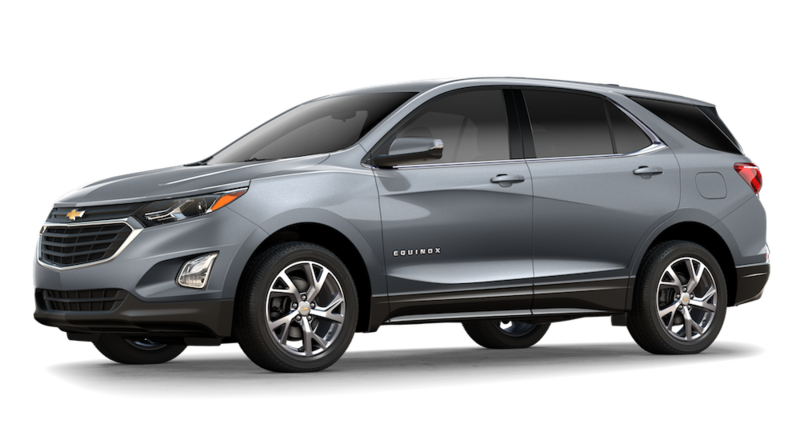 Chevrolet’s refashioning of the Equinox is eye-catching because it looks upscale, with a sporting stance that customers look for, but also unique making it stand out from the rest of the Chevrolet family. At first glance, its redesign is only enhanced alongside the appealing 18-in. wheels. Its elements like these that add distinctiveness, making the Equinox Premier stand out as the most stylish trim. You also have the option of adding the startling Iridescent Pearl Tricoat paint color. Combine all of these elements, and you have a sparkling, fun new addition to any car-buying experience. The interior of the 2018 Chevrolet Equinox is also mind-blowing. Customers note how “expensive” the dash looks with all of its premier gadgets. This appeal is only enhanced by the metal finish trim pieces surrounding air vents and gauge clusters. The Premier’s interior goes even further, enhancing the 2018 Chevrolet Equinox’s look with texture, sheen, and quality. The color combinations are meticulously designed so that the color schemes are complementary or sharply contrasted to appeal to all tastes. Refined palettes will appreciate the solid and perforated leatherette Chevrolet created as an exquisite design flourish. Seating is superior in this machine. While spacious and comfortable they are also heated and ventilated, even the rear seats, and the front passenger’s seat can be adjusted in 8 different ways. The rear seating in the Equinox has room for two adult passengers or three children. All will be pleased with the shoulder space and legroom. Each seating section can also recline for greater comfort. In the 2018 Chevrolet Equinox, rear seating also splits 60/40 for cargo. It has 29.2 cu. ft. of capacity until you fold the rear seats – Now you have 63.5 cu. ft. of volume! Plus, you can use the hands-free power liftgate if your hands are full. The center console and glove boxes are generous, and the interior is designed so you can keep your phone within reach. There is even storage beneath the trunk’s cargo floor. At Carl Black Chevrolet of Nashville, we can’t wait to spend the day chatting with you about the 2018 Chevrolet Equinox! Our inventory is fully stocked with the best trims available that include all of the features you are looking for in a compact sports utility vehicle. We stand by our promise that we will provide you with the most pleasant buying experience possible. Our dedicated and highly qualified team of dealers want to ensure that you, the customer, have all your car-buying needs met. We look forward to answering any questions you might have, so stop by and see us in our showroom. We understand how important quality is. That’s why we are a Chevrolet dealership. 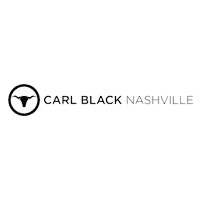 At Carl Black Chevrolet of Nashville, we have the 2018 Chevrolet Equinox in stock, so it’s worth it to come down to the showroom and test drive one. Come visit us at 535 Murfreesboro Road in Nashville and meet with a member of our team. We look forward to helping you!